The provincial government is moving ahead with a new plan to “enhance the competitiveness” of B.C.’s forest industry at a time when Canada and the U.S. are still at loggerheads over reaching a new softwood lumber deal and the threat of U.S.-imposed trade action hangs over the industry. 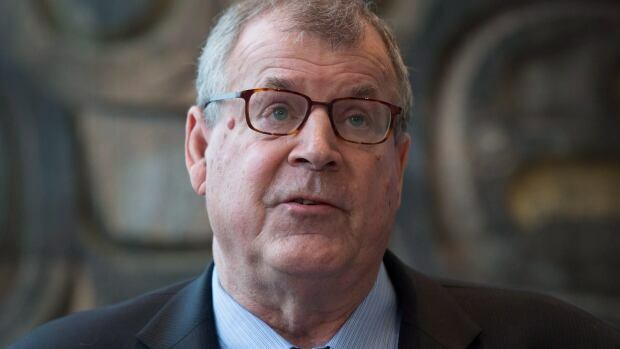 The province announced a $150-million strategy Aug. 31 to increase the promotion and management of B.C. lumber. …The strategy that the province announced has 49 actions, including enhancing the promotion of B.C. wood products globally by focusing on the benefits of these products as well as the province’s strong regulatory environment. Prince George, B.C.- Although the Province has announced a detailed strategy for ensuring forestry has a bright future in B.C (see previous story), there are still two issues which have to be resolved. The Chief Forester has yet to announce what the annual allowable cut will be, and there is still a Softwood Lumber Agreement to be hammered out. “We are continuing all out efforts to reach an agreement” says Minister of Forests Steve Thomson of the efforts to reach a new SLA with the United States. …As for the annual allowable cut, everyone expects a reduction to reflect the post Mountain Pine Beetle reality “The reality is we are facing a lower annual allowable cut in many parts of the province as a result of the mountain pine beetle epidemic” says Thomson. West Fraser Timber Company and Paddle Prairie Metis Settlement (PPMS) announced that they have entered into a Strategic Initiative Framework Agreement on Monday August 22. The agreement will see the PPMS make a financial investment in West Fraser, and the two parties will work collaboratively “to provide education, training and skills development to PPMS members with a goal of advancing opportunities for those members to achieve full-time employment in the forest products industry and other industries,” a statement released by West Fraser reads. Both PPMS and West Fraser have also agreed to collaborate on exploring other mutually beneficial opportunities, including consulting and contracting relationships, as well as cooperating in community development opportunities. The log yard is filled with two months’ worth of inventory and activity is humming at Columbia Forest Products’ veneer plant, east of North Bay. After being mothballed for five years, operations at the hardwood veneer mill in Rutherglen resumed April 18 running one shift of 52 employees. Without delving into production numbers, mill manager Peter Loy said since the reopening, things have gone well as the operation continues to its ramp-up toward full production. Heading into 2016, Northern American veneer demand wasn’t exactly bursting at the seams, but it had improved sufficiently enough for Columbia to make the decision to restart the 100,000-square-foot mill it had shuttered in 2010. Four workers were taken to hospital with severe smoke inhalation after a fire in a paper machine at the Resolute Forest Products plant in Gatineau Wednesday night. Firefighters were called to the Main Street facility at about 9 p.m. and found the large machine was in flames. Firefighters were able to contain the blaze to the one machine, but the fire gave off large quantities of smoke. Nippon Paper Industries officials visited Longview from Japan on Thursday to celebrate the first day of the company’s ownership of the liquid packaging mill, which now will be known as Nippon Dynawave Packaging. Weyerhaeuser Co. transferred ownership of the mill at midnight Wednesday to Japan-based Nippon, roughly three months after announcing the $285 million sale. Local and state dignitaries gathered with about 200 employees to celebrate the transfer of the mill, according to a press release. The event was closed to the press. “Around you, you see more than 85 years of dedicated local labor and world-class engineering, manufacturing and new product development,” John Carpenter, President of Nippon Dynawave Packaging, said in a speech reported by Nippon. Weyerhaeuser Co. has completed it’s sale of the Longview liquid packaging plant to Nippon Paper Industries, the timber company announced Wednesday. The mill’s ownership will officially transferred to Nippon at midnight Wednesday. The companies announced the $285 million sale in June. Weyerhaeuser said it expects to use a substantial portion of the approximately $225 million of after-tax proceeds to pay off debt. The Longview mill produces 280,000 tons of liquid packaging board product annually. Nippon’s purchase does not include taking over Norpac, the Longview newsprint and book-paper maker jointly owned by Weyerhaeuser and Nippon. New Zealand forest owners are unconvinced a proposed Bill will ensure long term viability for the forest industry. New Zealand First leader Winston Peters has told the New Zealand Institute of Forestry in Dunedin this week that a Bill he proposes will both maintain the national forested area and develop more processing capacity in New Zealand. Forest Owners’ Association President Peter Clark says from what he understands of Winston Peters’ Bill the opposite will happen. “Our industry certainly wants continuity of supply for both export and domestic industry. But passing a law will not suddenly produce grown trees in the ground. With the installation of a second profiling-line and another edger, production capacity at the Welsh sawmill site in Newbridge-on-Wye owned by British BSW Timber is to be doubled from its present level of 150,000 m³ to roughly 300,000 m³ of softwood lumber per year. In addition, as part of the £4m investment programme which has been in progress since 2013, a cross-cut saw, a stacking line and an electronic control system are to be installed. The concern has so far made no announcement concerning the suppliers of the new machinery. At the beginning of August, BSW Timber had already commissioned a thermal power plant boasting thermal capacity of 3.2MW at its Carlisle site. NEW YORK — Adult readers in the U.S. still strongly favour paper over e-books, according to a new study from the Pew Research Center. Around 65 per cent of those surveyed had read a paperback or hardcover over the past year, compared to 28 per cent who had read an e-book, Pew reported Thursday. Around 40 per cent only read print books, while just 6 per centfavour e-books exclusively. Fourteen per cent said they had listened to an audio book, up two percentage points from 2015, but the same as in 2014. E-book sales surged after Amazon.com introduced its Kindle reader in 2007. But they began levelling off a few years ago and have even declined for some major publishers. Materials have undergone a radical transformation. 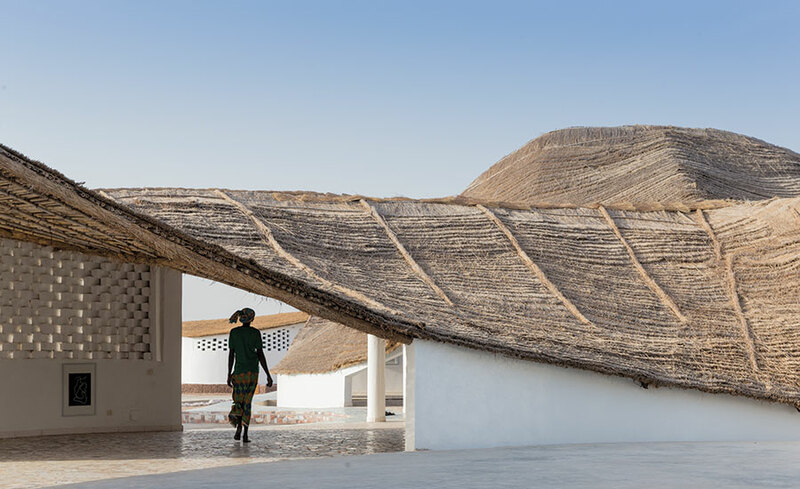 All over the world, a fresh crop of tech-savvy, socially engaged architects are seeing traditional options with new eyes. Factors such as geopolitics and mass migration are fueling demands for lightweight, labile materials… Recent innovations in timber technology indicate that Zumthor is right, especially since engineered wood products such as CLT (cross-laminated timber) have evolved to become significant building materials. 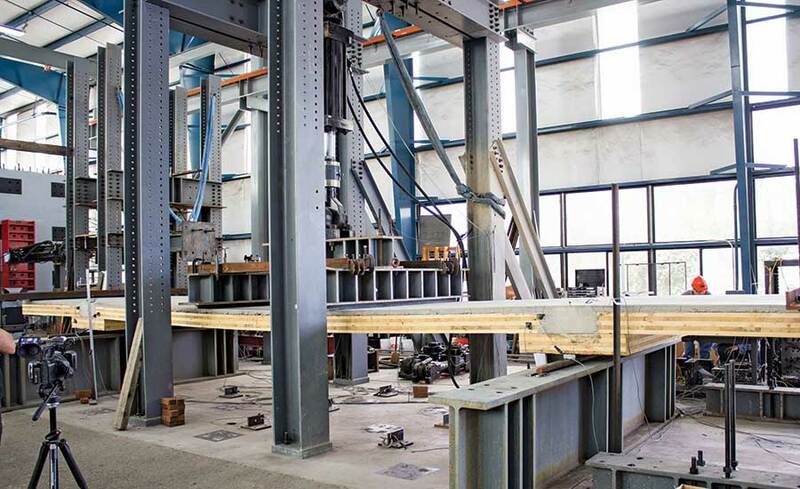 In the hands of Thomas Robinson, founder of LEVER Architecture in Portland, Oregon, CLT and glue laminated timber are rising to new heights as they are used to construct LFRS (lateral force resisting systems), beams, and tall columns. Robinson’s 12-story mixed-use Framework tower is slated for construction in Portland’s trendy Pearl District next year. HONOLULU, HI — The Sustainable Forestry Initiative (SFI) will announce today the launch of its large-scale effort to quantify the conservation benefits associated with well-managed forests stretching across North America from British Columbia to Florida. Forests certified to the SFI Forest Management Standard cover more than 280 million acres/113 million hectares. Millions more acres/hectares benefit from the SFI Fiber Sourcing Standard. The SFI Conservation Impact Project focuses on developing metrics for climate change mitigation, water quality and biodiversity, to encourage forest health, conservation and sound management. The B.C. Forest Safety Council is urging caution as resource roads are expect to get busier with the start of hunting season. It offered the following tips for those who don’t use the roads on a regular basis: Expect to see logging, mining and other trucks. A loading log truck can weigh 10 times more than a regular pickup truck, has limited maneuverability, and can take up to 100 metres to stop. “Down” or “loaded” traffic has the right of way. It is good practice to yield to all industrial vehicles. Pull into a designated pullout when possible or as far over to the right, stop, and give them enough space to pass. DEMO 2016 is the largest live logging equipment show in North America this year, and will be held at the UBC Research Forest near Vancouver from September 22-24. A show this big only happens every four years, so it is definitely seen as a “must-attend” for those in the industry. All of the major logging equipment manufacturers will be present at DEMO, giving attendees the opportunity to see a lot of iron, first-hand at one site—and to see it working in the woods. Click to see full show guide in Logging and Sawmilling Journal. No matter what criteria is used, if an unbiased study is done, the value of our remaining natural forests is far greater if they are left standing than if they are destroyed by industrial logging. To suggest that the logging industry is providing local jobs is an absurd rationalization. The government and the logging industry have vastly increased the amount of raw logs exported from B.C. over the last 15 years. Every shipment of raw logs is the deliberate export of jobs from B.C. The value of the forest and the many species which it supports is not measurable in mere dollars. It has been shown that time spent in Nature provides many health benefits for humans. I am writing this letter in response to Louise Taylor’s back-to-back letters to the editor titled ‘Protecting our old growth’ (Aug. 11) and ‘Logging practices need revision’ (Aug. 18). I earn my living from the forest industry in the corridor and my observations are a result of direct involvement. …Comparing B.C.’s and Ontario’s forest industries is challenging as the statistics are collected differently and based on different factors. Of course we should generate the most value and employment possible from a sustainable forest industry and that is what the B.C. coastal forest industry is trying to accomplish by finding the right balance between log exports and domestic log manufacturing. A coalition of hunting groups filed a federal lawsuit last week against the Helena-Lewis and Clark National Forest alleging that the agency failed to consider alternatives to controversial new big game security measures. 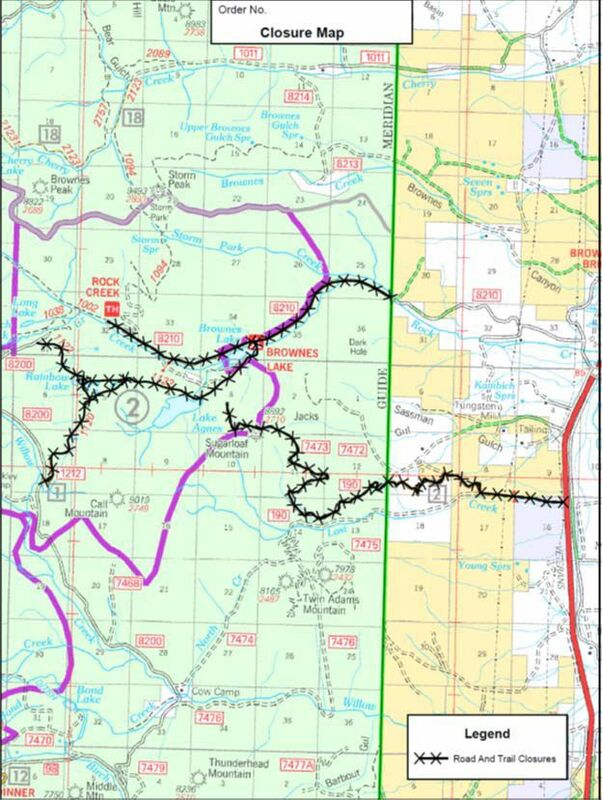 …The organizations say the Forest Service erred in its March 1 decision to eliminate big game hiding cover requirements for the Divide area west of Helena. “Treeless” big game security puts elk herds in jeopardy and sets a dangerous precedent, the lawsuit alleges. …Sullivan says his organization is not anti-logging and is not typically litigious. The decision to file came after extensive internal discussion sparked by a need to maintain elk security on the forest. 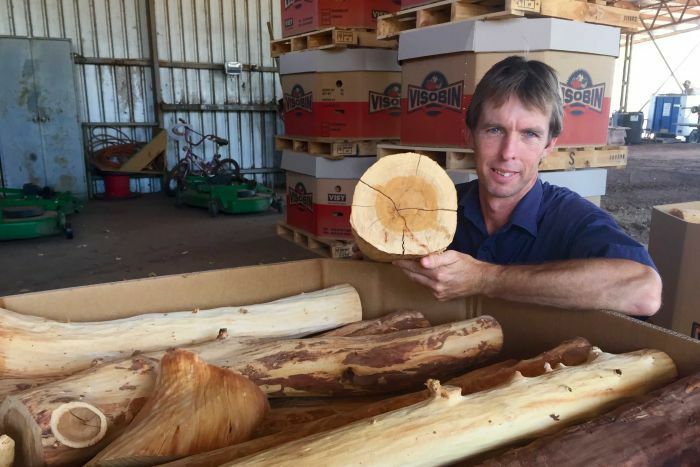 In the year 2000, sugar cane grower Paul Mock decided to plant five hectares of Indian sandalwood on his farm in the Kimberley’s Ord Irrigation Scheme. “My Dad put an Agnote in front of me of some research on Indian sandalwood, a crop I hadn’t heard of,” he said. “The figures looked promising, even though it was a 15-year crop cycle. “So we decided to give a small area a go and have a try.” Sixteen years later, Mr Mock’s farm, which is now called the Sandalwood Sanctuary, is completely filled with trees crops, mostly Indian sandalwood. He is currently harvesting sandalwood from that first planting, telling ABC Rural the timber will soon be exported to Taiwan. 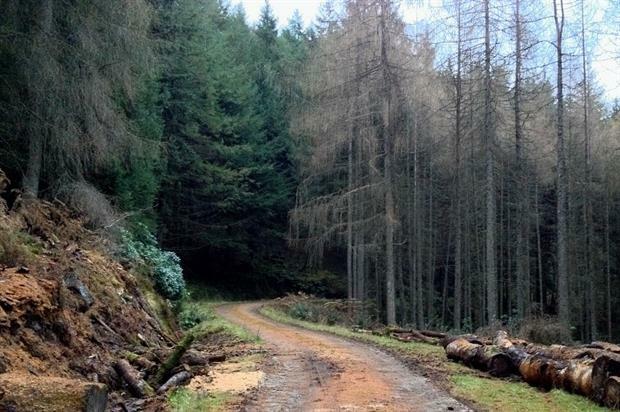 Forestry body Confor has welcomed a new Scottish Government consultation on the industry, which began yesterday (31 August). Its chief executive Stuart Goodall said: “Scotland is the clear UK leader in forestry and there is now a once-in-a-generation opportunity to establish a support and regulatory structure that can build on and further strengthen that leadership position.” The industry contributes £1bn a year to the economy and employs over 25,000 people, according to Confor. 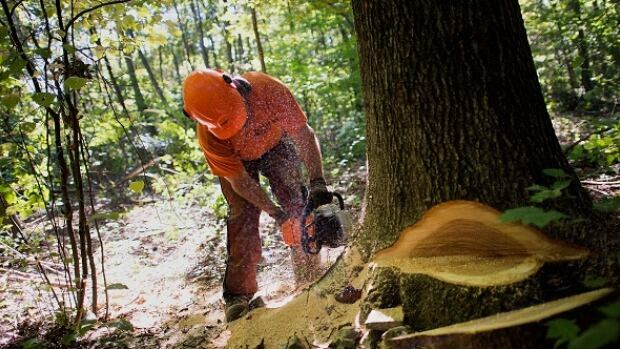 “While other sectors have struggled to recover from the 2008 downturn, Scotland’s forestry and wood processing industry has grown by 50 per cent,” Goodall added. Many of these fires are highly visible in the area, but none of them is currently threatening any structures or communities. * Three separate fires are burning about 12 kilometres south of Boswell in the Sanca area, east of Kootenay Lake. These fires are all 0.5 hectares or smaller. Airtankers, a helicopter and initial attack crews are working on site. * Initial attack crews are responding to two small wildfires about five kilometres north of Queens Bay in the Coffee Creek region, west of Kootenay Lake. Richard Brown sits in the Jade Springs Restaurant, just north of Lytton, Wednesday night, waiting for his order of 55 meals from the Chinese food restaurant. It’s the only restaurant in town that’s open at 10 p.m. anywhere near Lytton – and Brown has a lot of hungry mouths to feed. Brown is the warden for the Lytton Forest Service and has been tasked with delivering items to and from the front line, where crews battle a 300-hectare – and growing – wildfire that has been threatening homes throughout the day. Just hours before, the BC Forestry Service had estimated the fire was 160 hectares, but the estimate was nearly doubled to 300 hectares by 7 p.m. Heavy winds had been blowing all day, whipping the fire northward. Cooler and moist marine air Thursday slowed the growth of Northern California’s Gap fire as it eclipsed 17,500 acres, but officials said it stayed within containment lines, and that led to the lifting of mandatory evacuation notices in place since Monday. After growing more than 4,000 acres between Wednesday and Thursday mornings, largely from fuel-robbing back burns, the fire grew just more than 500 acres during the day Thursday to officially reach 17,509 acres by Thursday evening, according to the U.S. Forest Service. A wildlife estimated at 12 acres is burning near Agnes Lake, about 8 miles northwest of Glen, and south of Butte in the East Pioneer Mountains, the Forest Service reported Thursday. Meanwhile, the Nez Perce Fire northeast of Butte remained at 344 acres. As of late Thursday afternoon, the Agnes Lake Fire acreage held steady; a cold front helped to moderate the fire. “The fire behavior has moderated and has very little visible smoke at this time. (Fire) suppression actions between yesterday and today have been very successful,” said Dillon District Ranger Scot Shuler. Eight smokejumpers, several ground crews, and one helicopter are assigned to the blaze, which was discovered Wednesday afternoon at 1 acre. As firefighters get closer to containing the 41,000-acre Rail fire, burning since July 31 in southwestern Baker County, a Forest Service team is assessing the damage and hoping to secure money for projects designed to protect forest visitors in the future. “We’re trying to identify high values at risk that are at a high likelihood of post-fire impact that may necessitate some type of a treatment to minimize or avoid that impact,” said Todd Reinwald, co-leader of the team. Reinwald is the soil and water program manager for the Mount Hood National Forest and is part of the six- to eight-member BAER (Burned Area Emergency Response) team comprising Forest Service soil, GIS (geographic information systems) and hydrology specialists from across the country. Policy director for Sustainable Northwest and Bill Kluting – legislative representative for the Carpenters Industrial Council—Earlier this year, Oregon enacted one of the most sweeping new energy laws in the history of the state. 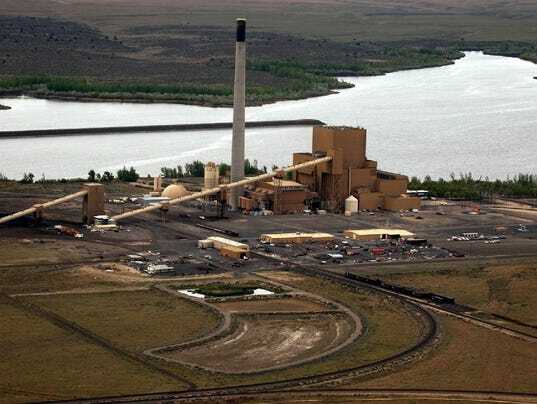 In the next 25 years, Oregon’s largest utilities — Portland General Electric (PGE) and PacifiCorp — have agreed to eliminate coal generation from Oregon’s electricity supply, to be replaced with renewable sources, including wind, solar and biomass. It’s the kind of forward-leaning environmental policy Oregonians embrace — collaborative solutions that combat a global crisis such as climate change while sustainably using natural resources here at home. In order to achieve this green energy future in Oregon, however, the U.S. Congress will have to provide the right policies to spur investment in renewable energy sources. PENDLETON, Ore. — Cleaning up forest clutter might be good for more than just curtailing large wildfires in Oregon. It might just be the answer Portland General Electric is looking for to convert the Boardman Coal Plant to 100 percent biomass. Later this year, PGE will use nothing but woody debris to power the station for one full day as the utility continues to test alternative fuels at the 550-megawatt facility. A successful test burn was conducted last year at Boardman using a 10-to-1 mix of coal and biomass, which has project leaders feeling optimistic. But this will be the first time the plant is fed exclusively biomass for 24 straight hours, which will go a long way toward determining whether the plan is feasible long-term. A growing industry that’s harvesting “woody biomass” from forests for energy generation could gain a toehold soon in the Chesapeake Bay watershed. Like virtually every other form of energy, it’s also generating intense debate about its environmental impact. Biomass from trees is already used to generate a small amount of power in the United States; wood chips generate electricity at several small plants owned by Dominion, the Virginia-based energy company. …According to the environmental law center, using Enviva’s mainly hardwood pellets from North Carolina and Virginia to generate power in the United Kingdom releases 2.5 times as much carbon dioxide into the atmosphere as would burning coal.